Hailey Dean is the main protagonist Hailey Dean Mystery series. She is a former special prosecutor for the District Attorney's Office turned therapist, but still helps on occasion to solve murders cases. 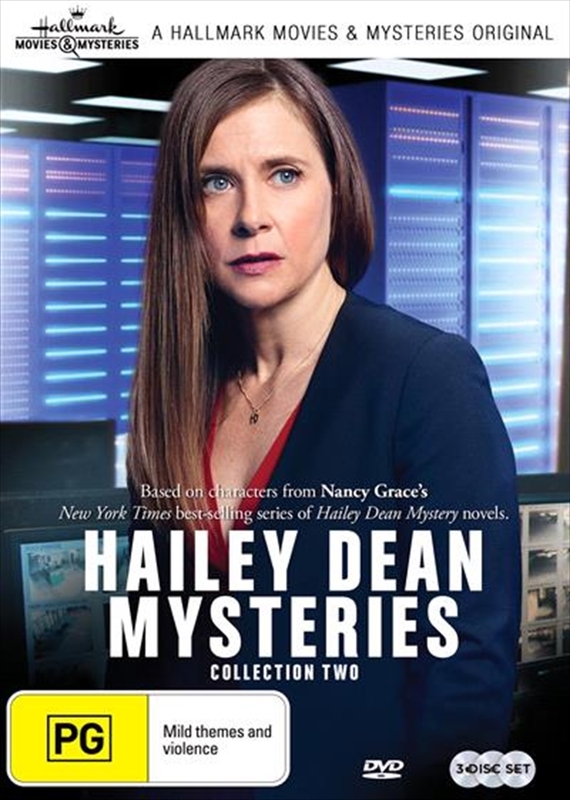 This thrilling second DVD collection features three brand new movies from the hit Hallmark Movies & Mysteries series. 2+2 = Murder - Hailey attends her niece's school recital only to learn that the beloved music teacher has vanished. Hailey soon discovers several startling secrets amongst the staff, as well as a link between the missing young teacher and the schools reconstruction funds. A Marriage Made For Murder - Hailey's professional code of ethics prevents her from going to the police about a client's confession, so she must find another way to bring the killer to justice. Stars Kellie Martin and Chad Lowe. A Will To Kill - Emotionally ready to confront her fiance's 15-year-old murder, Hailey finds herself caught up in the case of a missing college coed. The deeper Hailey digs into the young woman's disappearance the more she is convinced the two events are related. Stars Kellie Martin and Chad Lowe.